Conceived in Boulder in 2016, Dispatch Radio is an outdoor adventure podcast produced by and for those who get active in nature. Each month we gather inspiring athletes, weekend warriors, nature lovers, writers and others for fun and wide-ranging discussions about adventure. Professional rock climber (boulderer to be exact) and Boulder resident Paul Robinson joins us to discuss the world premiere of his new film, Uncharted Lines, which debuts at the Boulder Theater on Wednesday, Jan. 25. Host Scott Jones offers up a few events happening in Colorado over the next week, including a special Denver edition of Mappy Hour and a talk by local backcountry explorer and author Fritz Sperry. Read more about Paul on his website or climbing resume or this interview with him about his Boulder, Colorado, roots. Here's a cool article Outside Magazine did on one of Paul’s first-ascents. 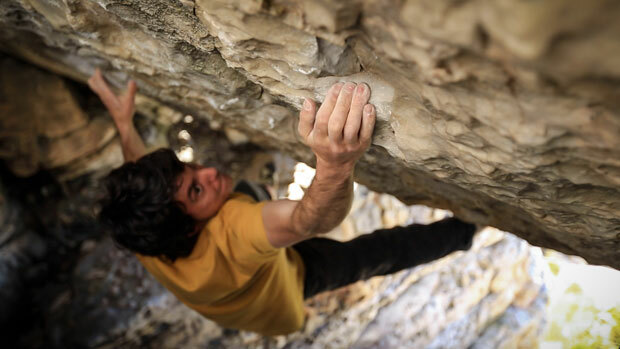 Boulder: Premiere of climbing movie "Uncharted Lines" at the Boulder Theater. Every climbing reward comes at the cost of a potential risk, but when you are a climbing pioneer, driven by the unknown and unexpected, you are willing to risk whatever it takes for the chance to find the perfect first ascent. This untouched line is the ultimate prize for professional climbers Paul Robinson, Jimmy Webb, Daniel Woods and Chris Sharma – four of the best climbers in the world who have each dedicated their lives to the sport of rock climbing. Told through five separate stories, Paul Robinson is the common thread that links each story together as he travels from Russia, to the southeastern United States, to Spain, to Zimbabwe, and finally back home to the Rocky Mountains, interacting with these three athletes along the way. Denver: Mappy Hour at Denver Beer Co. - Matt Doyle (@FATMAP) will be hosting a roundtable about digital tools to use in the snow. From phone apps to watches to beacons and more! What inspires you to plan outdoor adventures? Which types of technology do you use while skiing? Which apps are the most popular? What kind of technology do you hope to see in the future? Nederland: Fritz Sperry Making Turns in Colorado’s Front Range The Movie. 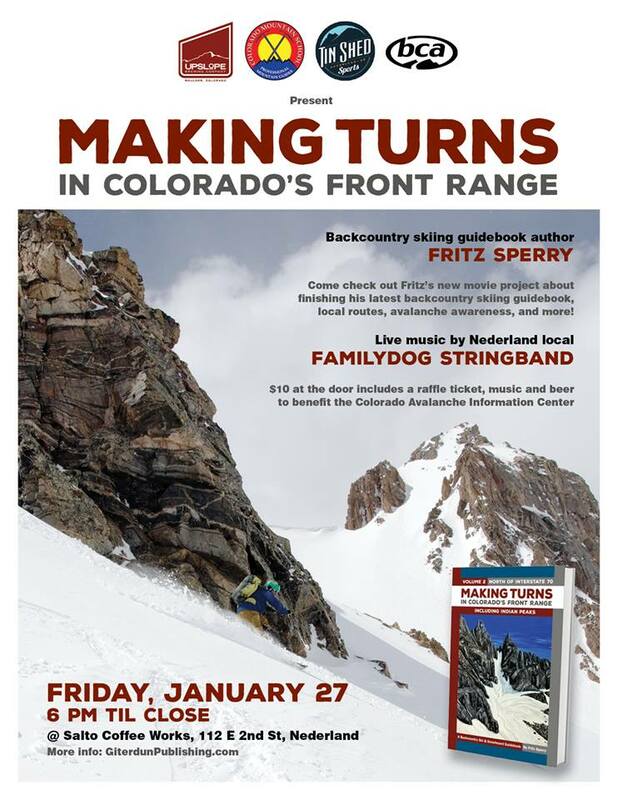 Join Fritz as he presents a movie about finishing his most recent guidebook "MakingTurns in Colorado's Front Range Volume 2: North of I-70". He also touches on avalanche awareness and safety issues along with some of his mistakes. There will be a raffle to benefit CAIC, followed by music from Nederland local and movie contributor Familydog Stringband. Tickets are $10 at the door and benefit CAIC and include a raffle ticket and beer from Upslope. Colorado is an amazing place. This week we talk about what most Coloradans do for this sliver of time called Fall. Adaptive athletes pushing the envelope and trail runners migrate to Estes Park. Dispatch Weekly is all about what is going on in Colorado. The Broncos kick off and so does the feeling of fall in our amazing Colorado. We bounce around but keep you in the loop on all things adventure and all things Colorado.